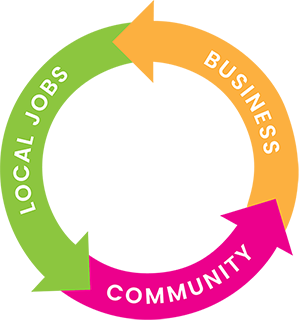 Choosing local independent business for your services, shopping, dining, and other needs has many benefits, including, strengthening your local economy, creating a healthier environment, creating jobs and opportunities, giving back to your community, and more. Owned and operated by Albertans. Customer confidential data secured on servers in Alberta. 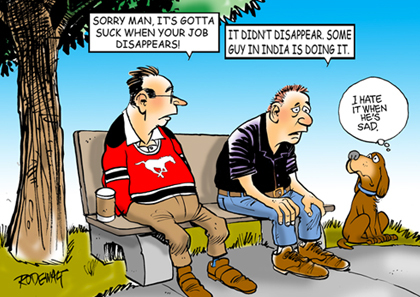 Outsourced jobs to countries overseas. What does it mean when we say the Energy Marketers in our network are local? It means we will never outsource customer care, information technology, or customer invoicing jobs to countries overseas just to save a couple bucks. Unfortunately, the same can't be said about the Regulated Rate Utilities operating in Alberta. Billions of dollars in investments and jobs have been shipped out of the province by companies such as ENMAX, ATCO, EPCOR, and Direct Energy. As a consumer you have a choice. We hope you put your money where your heart is and choose a local Energy Marketer for your electricity and natural gas.